Ronda Oswalt Reitz, Ph.D., is the Coordinator for Dialectical Behavior Therapy (DBT) services for the Missouri Department of Mental Health. In this role, she is charged with the implementation, support, and evaluation of DBT programming in public mental health settings statewide. Dr. Reitz specializes in large-scale implementation of DBT and has developed comprehensive DBT programming in community mental health systems, inpatient hospitals, and in juvenile and adult forensic settings. Dr. Reitz is also a national trainer-consultant for Behavioral Tech, the treatment dissemination company founded by Dr. Marsha Linehan, the developer of DBT. 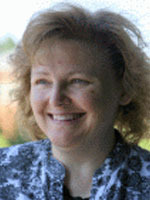 Dr. Reitz is a graduate of the University of Kansas.